Contact us on (07) 3221 0677 to arrange a free consultation with one of our dentists! Terms & Conditions: Offer expires 1st May 2017. If expired, contact practice for reissue. Teeth whitening is not suitable for all candidates. Patient may require a hygiene visit before the whitening process. Face Value Dental is a Bupa Members First Practice and a members choice provider for HCF. Our Zoom! Promotion is NOT GAP FREE. You may be charged a gap if your Health Fund Benefit is less than the 9 or 9 (Saturday patients only). For Bupa Members the total amount claimed on hicaps is 65 (for non-members 98) In the event that the Health Fund Rebate is greater than the special price you will be charged an amount equal to the rebate received. We have a special on our Zoom! at the moment it is now $599 (normally valued at $1265 for Bupa Members and $1298 for non-members) and includes a Free 10 minute smile assessment and take home maintenance trays to keep your smile as white and bright as ever! Introducing Zoom!™ in-surgery teeth whitening at our Brisbane CBD practice in less than 1 1/2 hours! You don’t have to be born with a beautiful smile to have one. In one comfortable convenient session with our highly qualified dental staff, you can transform your smile into one you’ll want to show the world. You too can have confidence in your smile the Zoom!™ way! Zoom! teeth whitening is quick, convenient, safe, effective and affordable. Teeth will generally become discoloured during the aging process; however the consumption of staining substances such as sugary foods and drinks, tobacco and alcohol will also cause teeth to become discoloured. Antibiotics and excessive levels of fluoride may also cause teeth to become discoloured. 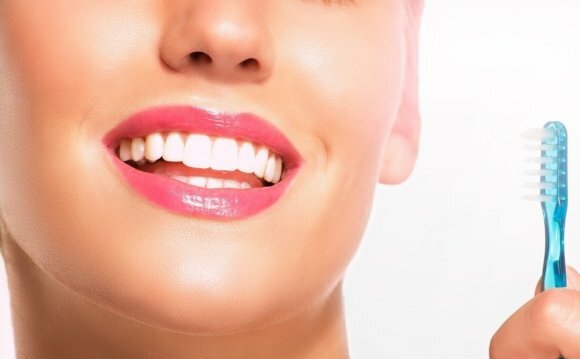 Extensive studies have been conducted to conclude whether teeth whitening is a safe cosmetic option. All evidence points to ‘Yes’, it is safe to undertake teeth whitening under your dentist's supervision. However, it is recommended that tooth whitening products should not be used by children or pregnant women. What is the difference between supermarket whitening and those provided by your dentist? It is always recommended that you visit your dentist first before starting a whitening procedure. Generally, supermarket whitening products will take several weeks or even months to have minimal impact on the shade of your teeth. During in-chair Zoom! Whitening, the dentist can whiten your teeth an average of six shades in just one session.